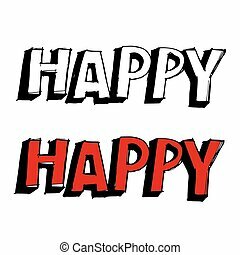 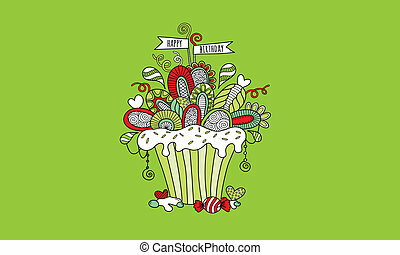 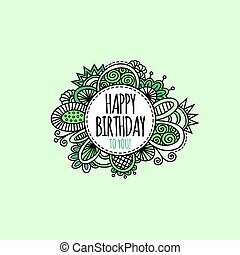 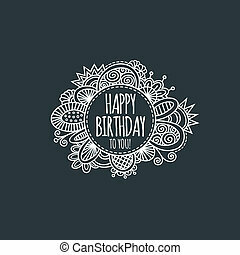 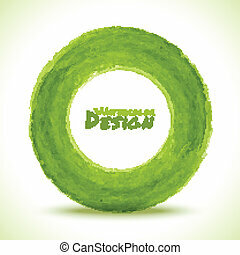 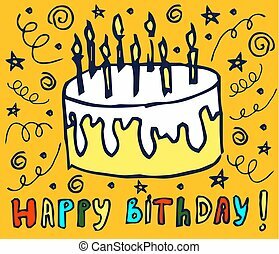 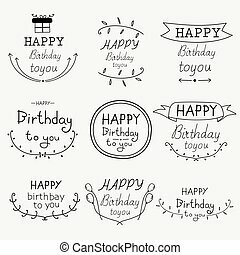 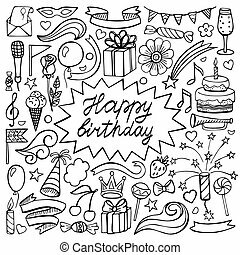 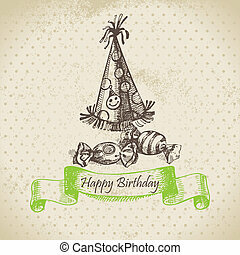 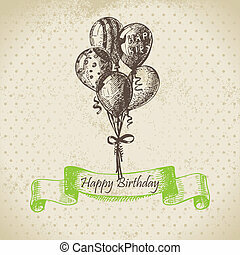 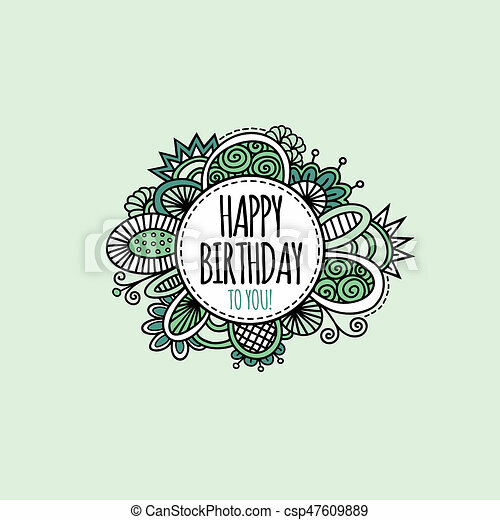 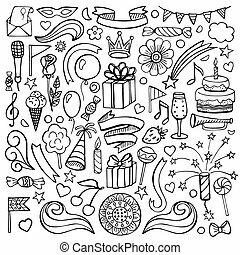 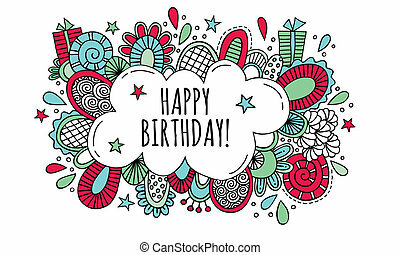 Happy birthday circle hand drawn illustration green. 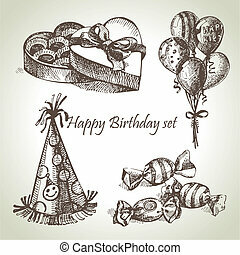 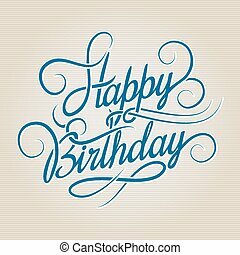 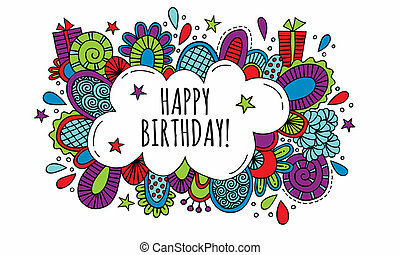 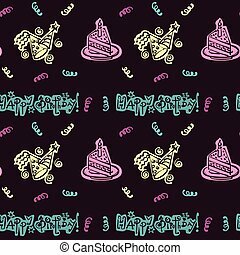 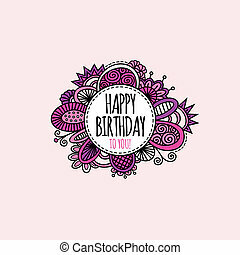 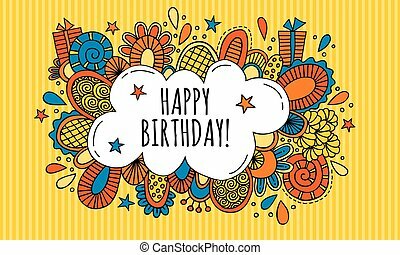 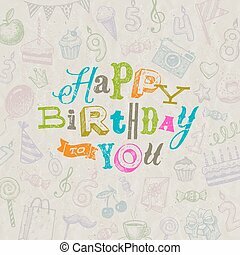 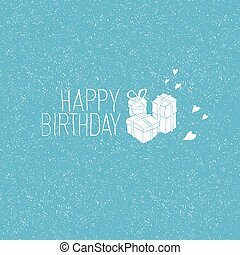 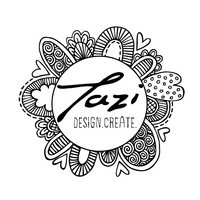 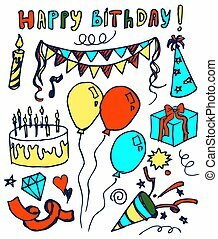 Happy birthday to you in a circle surrounded by abstract shapes and swirls in a bright illustration. 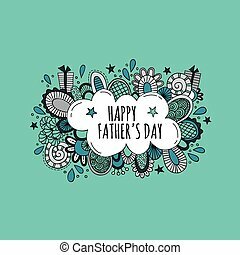 Happy Father's Day bright illustration with presents, stars, shapes and swirls on a green background.